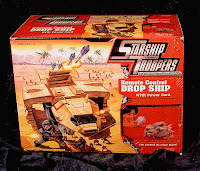 retrogameart.com: OF DROPSHIPS and HOPPER BUGS...Video gaming's Toy cousins! 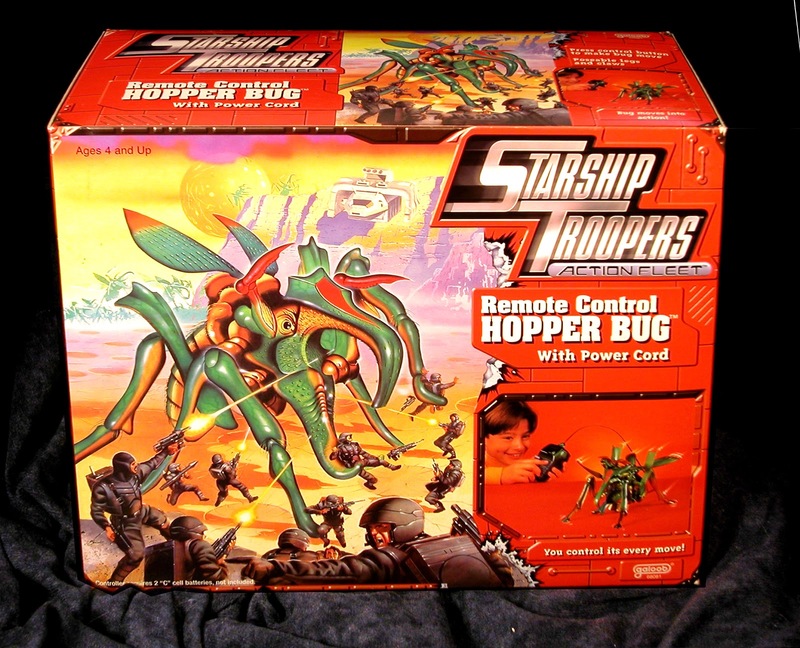 OF DROPSHIPS and HOPPER BUGS...Video gaming's Toy cousins! 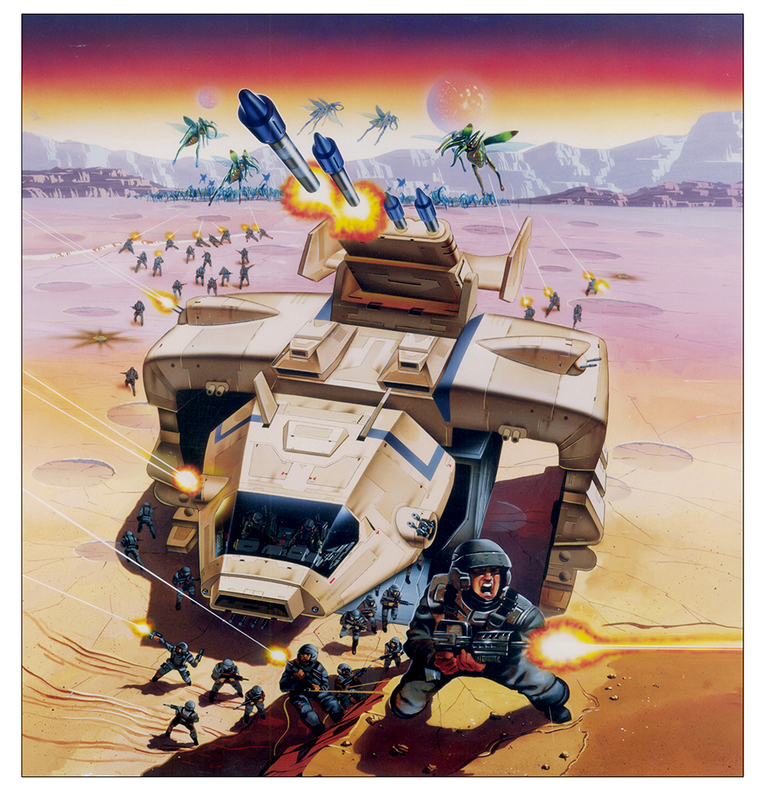 OF COURSE I COULDN'T FEED my family on NOTHING but video game box art, and so there were many corollaries to my illustration career, not the least of which were the TOYS about FILMS that BECAME VIDEOGAMES!! STARSHIP TROOPERS Pin Ball Machine. throwing a little tilt action at THIS baby!! IF YOU FOLLOW THIS TORTURED PATH you will arrive squarely in front of a ferocious HOPPER BUG of STARSHIP TROOPER (1997) fame, ...or, Semi-Fame if you prefer. 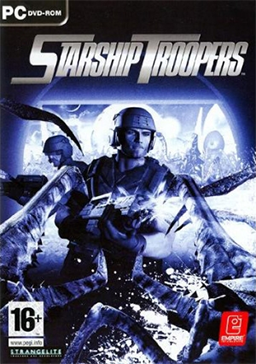 YES, I KNOW it was no Star Wars, but this film was entertaining and relatively well made, with spaceborne troopers falling prey (despite their AWESOME blasto plasma firepower!!) 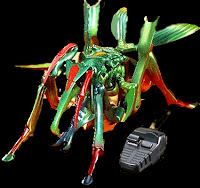 on a far flung planetoid to a bewildering array of gigantic slobbering and incredibly quick gigantic BUGS traveling in SWARMS!! 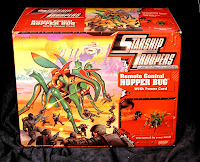 GALOOB TOYS of South San Francisco contacted me to do the art for this line, and to do the art for the "blasted edges" concept they had for the packaging. 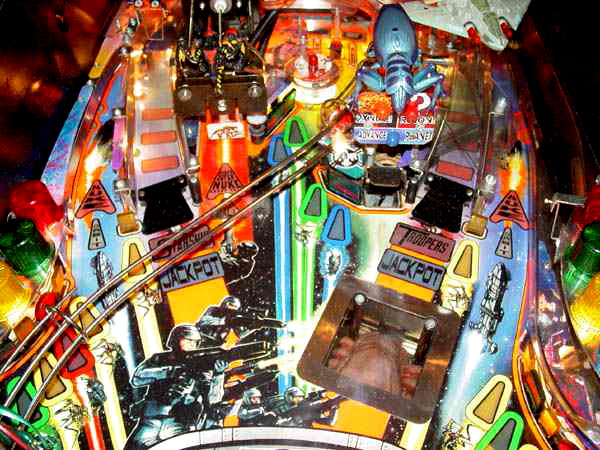 THESE WERE MY SALAD DAYS as a middle aged adult Illustrator who never seemed to want to leave behind the little boy shoot-'em-ups that ALL little boys draw. 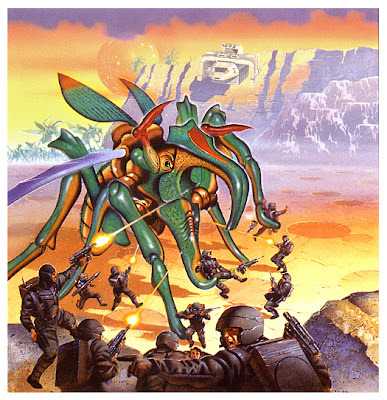 EXTRATERRESTRIAL SPECIAL OPS GUYS blasting GIANT OOZING INSECTOID ARTHROPODS on a LONELY, WINDSWEPT, DISTANT PLANET??!! ....Where the hell do I sign up? NEARING THE END OF MY AIRBRUSHING. 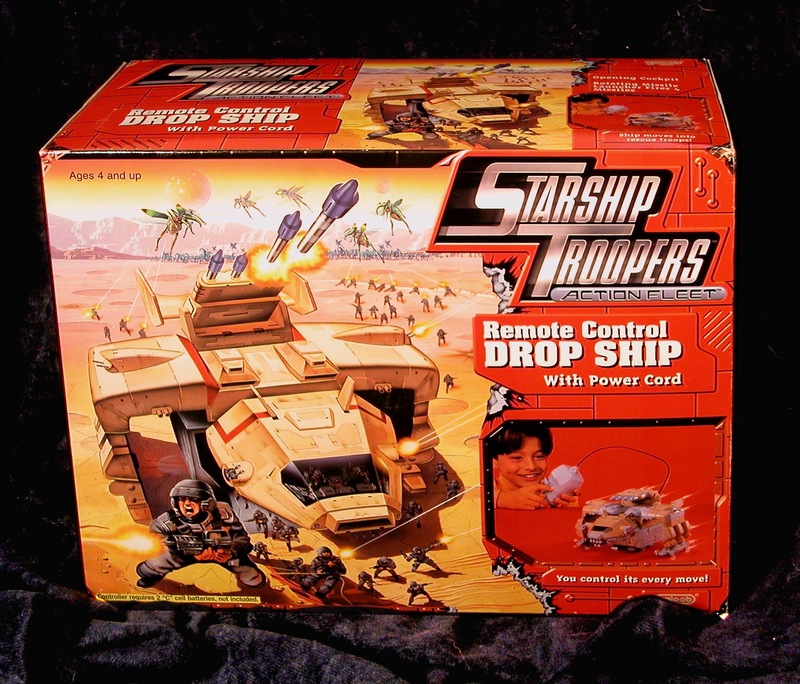 These STARSHIP TROOPER pieces were executed in '97, a time when my airbrushing days were winding down. I was migrating to Photoshop, with the help of my longtime compatriot and studio mate, Robert Evans. A geek's geek, he taught himself to draw with a MOUSE (for god's sake!) back when computers looked something like a TV from 1955. These pieces however, were fully rendered with my trusty Thayer Chandler Airbrush, and my nifty Swiss minicompressor over a period of about a week and a half, and I always have liked the results. I hope you do as well!